Gtmhub connects to over 150 business systems and automates your OKRs. 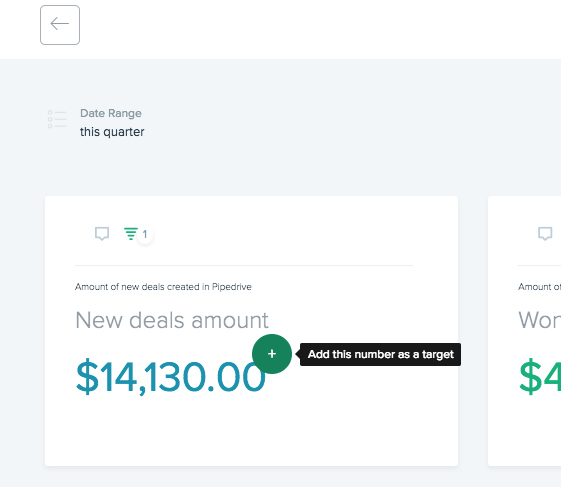 Here's how to attach dynamic key results to automate your OKRs. Gtmhub connects to over 150 business systems and automates your OKRs. 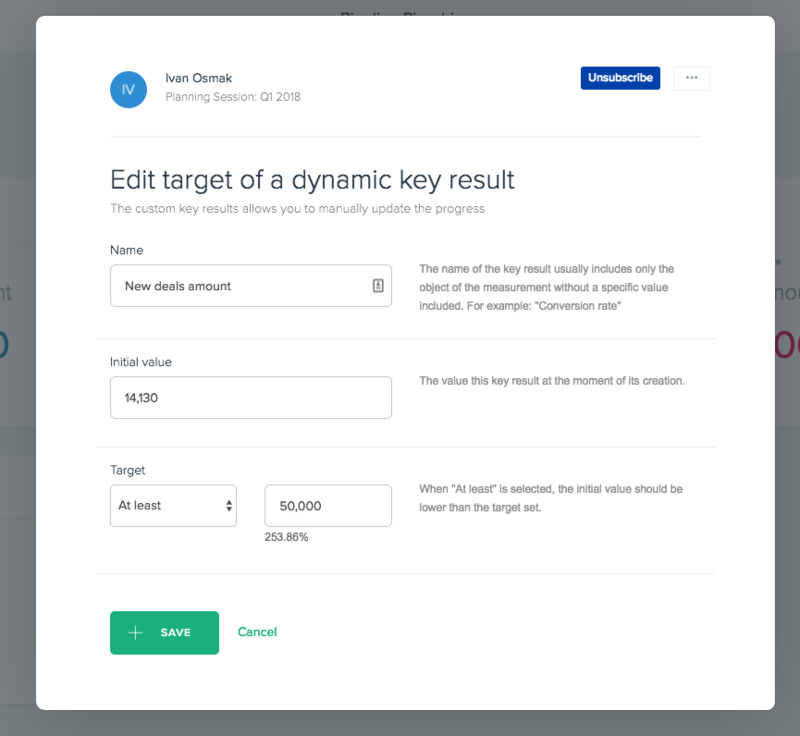 In this article, we will explain how to attach dynamic key results to your OKRs. 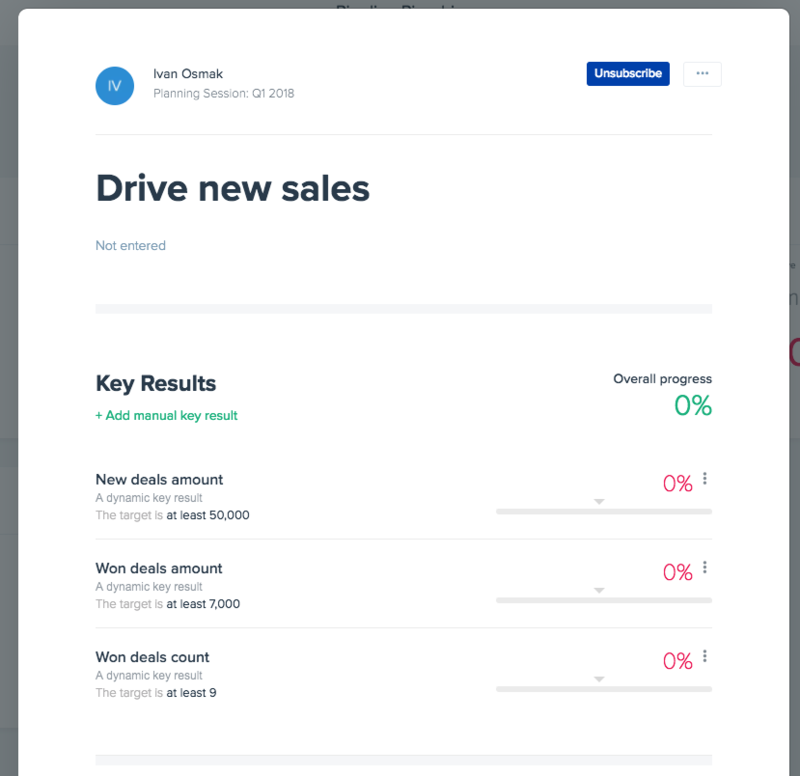 To demonstrate how to do this, we will assume that you are using Pipedrive CRM and that your objective is to drive new sales. The first thing we need to do is define new objective. Click on the Save objective button. 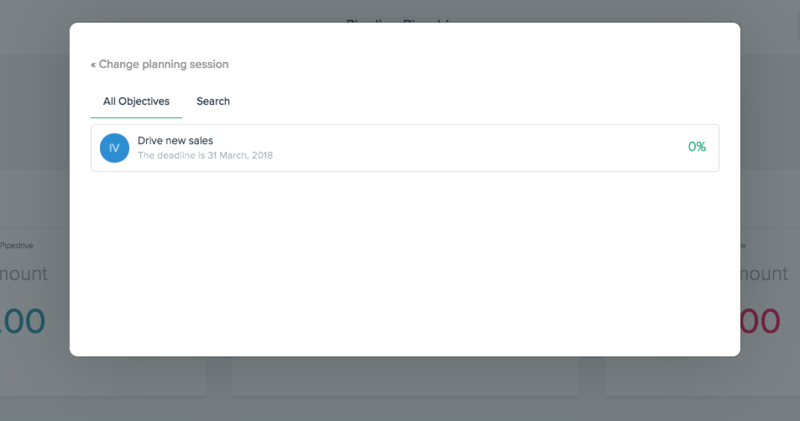 The second step is to connect Gtmhub to Pipedrive CRM. Gtmhub comes with numerous out-of-the-box insights for Pipedrive. To learn how to install Pipedrive insights, follow this article: How to install Insights from Gallery. 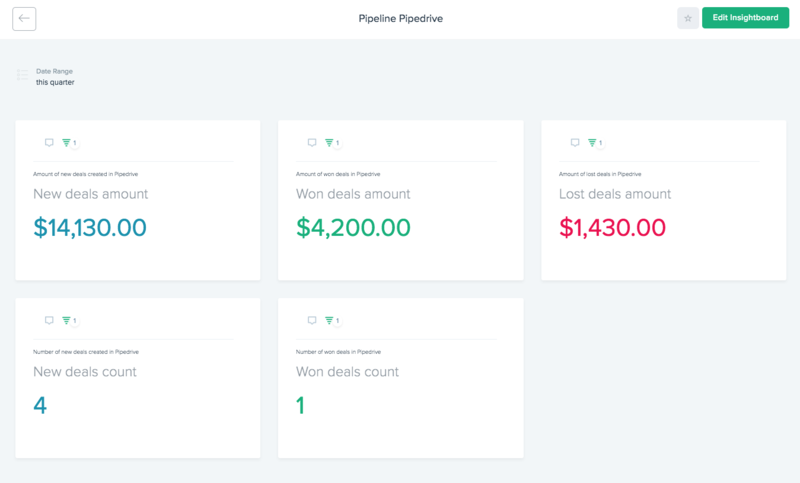 Once the insights are installed, head over to InsightBoards section and you will see new dashboards for Pipedrive available. You can either modify the existing InsightBoard or create a new one, but it is important that you set the Date Range filter to match your planning session. Typically, this will be "This quarter" which is the default value. From the dialog, choose the objective to which you want to attach this metric as a Dynamic Key Result. In my case, this is Drive new sales. Click on the Save button and repeat this process for the other two Key Results. What happens with dynamic key results? Once you have finished, your OKR should look like this. You can notice that under each of the key results, there is a label saying A dynamic key result. This means that you don't have to update this key result anymore, but the actual value will be automatically updated by Gtmhub - getting the real-time values from Pipedrive API.